As part of its commitment to flexibility and enhancing the student experience, Edinburgh Business School has produced its learning texts as e-books. These new files will allow Edinburgh Business School’s students to read course texts on mobile devices such as Kindle, iPad or tablet. The e-books will be available in two formats: .mobi and .epub. 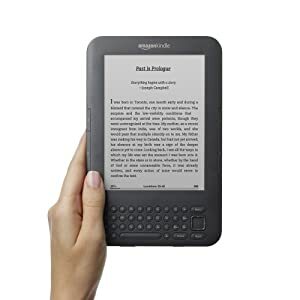 .mobi is designed for use with Kindle devices, while .epub is a generic format that is compatible with most tablet and reading devices, including Apple’s iPad. The e-books, which will be released on Monday 11th June 2012 via the ‘Downloads’ section of the course websites, are available only to registered students. There is no additional charge to students to gain access to the e-books. The e-books reflect the latest version of the course texts; their content will be exactly the same as that found in the printed text and online PDF. Internal links: students can click on links within the text to ‘flick’ back and forward instantly, e.g. between end-of-module questions and answers, the table of contents and the text. Audiobooks: new devices such as the Kindle Touch have a ‘read to me’ feature, which converts the e-book into an audiobook. This will be particularly useful for students with visual impairments, and also provides the option of listening to the course text while driving, for example. Depending on the reading device they use, students can also make annotations, add bookmarks and access dictionary definitions.